Jeff Twiddy was officially named the new Head Football Coach of the Louisville Leopards at the Louisville Board of Education Meeting Monday Night. 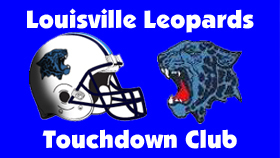 The new Louisville Leopards Head Football Coach will be named at Monday’s Board of Education Meeting according to the Leopard Touchdown Club. Sources are pointing to candidate Jeff Twiddy per multiple reports. This past week it was decided that the contract of Louisville Leopards Head Coach John Demarco would not be renewed in 2019. He finishes his 9 year tenure as Head Coach with a record of 65-29 capturing three consecutive outright NBC Titles from 2013-2015.